Already closing the year and with Black Friday on, we did not have time to highlight the LG V30. 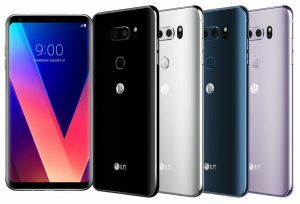 A new model that promises to move forward to LG after a drop in sales. However, it appears at the end of the year, where all the piggy banks are already empty. LG V30: A Six-inch TV? In LG they refer to it as the “best” 6-inch television in the world. And, probably, they are not right. With its extraordinary QHD OLED Full Vision screens (2,880 x 1,440 pixels and a resolution of 538 dpi). This screen is capable of reproducing without problem HDR 10 content, a new imaging technology; its audio system, and the extraordinary capabilities of its double camera give you something to talk about. 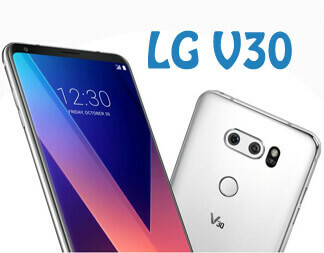 This makes the new LG V30 smart mobile phone the perfect instrument to produce and consume multimedia content. Not in vain, after its presentation at the last edition of the IFA in Berlin, was worthy of the largest number of awards granted to a mobile this year. A few days “fiddling” with the product are enough to realize the differences with other terminals in the market. In the manual mode of the camera, for example, the one from which very few users know how to take advantage, the Korean firm enabled a function called Graphy. Graphy shows in small a collection of professional photos, to which we can add our favorites. Just choose the one that most resembles the one you want to make and the phone will automatically configure its parameters. Simple and spectacular results in many of the tests in the most diverse environments and lighting conditions. Another novel feature allows you to select, with the simple touch of a finger, the area of the screen on which you want to zoom. Normally, zoom systems zoom the image from the center, but with Point Zoom we can do it, for example, towards a corner of the screen. Creating a very attractive and professional looking effect. To that, to the professionalism of our videos, also contributes the collection of 15 incorporated cinema effects. This means that we can place a romantic effect, action and more Hollywood style. However, these are not simple filters, but real configurations that the user selects when they start recording. That makes your video have the tone, color and aesthetics of the effect. If we join these capabilities to the two main sensors we have a smartphone capable of capturing brighter colors. We can get an idea of the immense photo and video capabilities of this device. Not forgetting that the main lens, 16 megapixels, is the first in the mobile market to have a focal aperture of F / 1.6. This allows it to capture much more light than any other camera of a “smartphone” in low light conditions or in night shots. To get an idea, it is normal to find openings F / 2.0, F / 1.8 or, at most, and rarely, F / 1.7. Combined, the two main lenses offer a viewing angle of 120 degrees. The same as the ferontal camera, which however remains in a bare 5 megapixels. As for the processor, this is a Qualcomm Snapdragon 835. With its 4 GB of RAM, there is no application that resists. The only point that could perhaps is not good is the storage capacity, which remains at 64 GB. Of course, with a USB slot to add card the version that comes to Spain, as memory up to 2 TB. If it can play videogames very well, it will be amazing! The LG V30 will have a price of at least $ 900. It’s still cheaper than the iPhone X, and maybe even better. You already have here one more alternative for the iPhone X this 2017. See you soon! Previous articleSmartphone Buying Guide: Find the best phone!